You've never seen such powerful, innovative group and classroom behavior management strategies in one place before. Our free mental health staff and teacher professional development videos are designed to pack a lot of behavior management strategies into a short time frame. They also give you feel of our full-length online professional development classes that offer free clock hours and optional college credit. You're looking for fast answers that you can use right away. 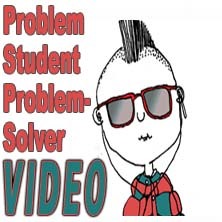 Our must-see, problem-stopping video tutorials offer you some of the best professional development help available online for educators. These videos deliver the state-of-the-art interventions for teacher classroom management problems; staff professional development training issues; school discipline concerns; student work refusal, poor performance and social skill deficiencies. We can even show you how to motivate and inspire your most unmotivated, apathetic, disinterested, and bored students, plus we have attention-grabbing ways to moderate or stop negativity, disrespect, school violence, bullying, cyberbullying, gangs and safety issues. We also offer full-length professional development videos that offer free clock hours and optional college credit. Click on title or scroll to view videos. Video titles rotate in the box below, and are also listed below in chronological order with the most recent video at the top of the list. The instructor for Youth Change Workshops free Professional Development Video Tutorials is Author/Speaker Ruth Herman Wells, M.S., our Director. Classroom Management Problems Watch Out!